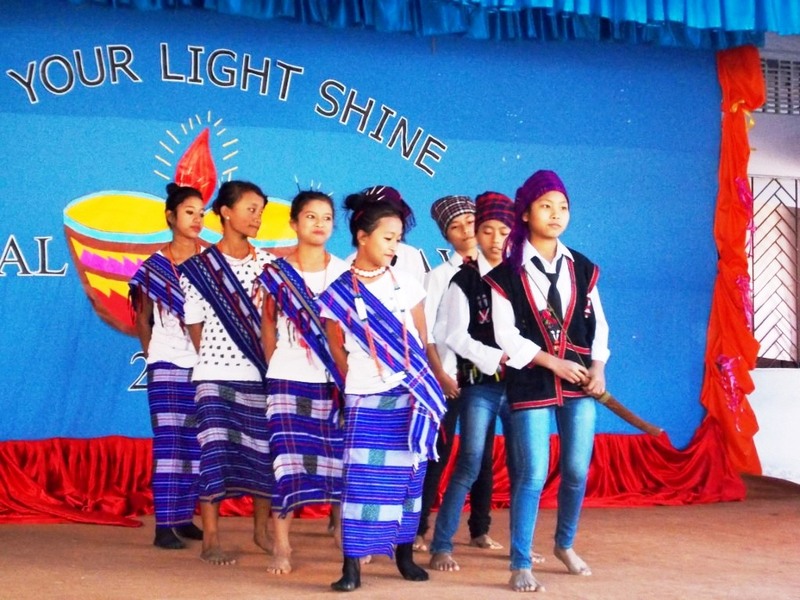 The children enthralled the audience with their colourful display of skills at the School Annual Day programmes at Light of the World School, Miao. It was a mesmerizing day for all the audience gathered. Everyone of them witnessed a colourful display of cultural programmes. Mrs. Namrata Tiwari, Circle Officer Miao Sub-Division, was Chief Guest of the day. Speaking on the occassion, she expressed her happiness and appreciation for the staff, managing committee of the school for imparting a good quality education to its pupils. “I am very happy today to be here with you. I sincerely appreciate the great contribution of this school to the society by offering a great platform for the students”, she said. “I can see this school playing a great role in shaping the future of our society”, she added. Rev. Sr. Reena MSMHC, the Headmistress of the school presented the school annual report and she made known to the public the functioning of the school. The Guardians’ Representative, Mr. Somlung Mossang urged the parents to give full attention to the student’s study and discipline. “It is not only the responsibility of the school alone. Character of a student is built first at home”, he opined. Echoing the same sentiment, Bishop George in his address to the parents reminded them to educators of the children in matters concerning discipline and value.